A grilled cheese sandwich can be simple, using just bread, butter, and one cheese. Or, it can be a bit fancier—think blue cheese with apples and smoked bacon. Whatever type of sandwich you prefer, choosing the type of cheese you're going to use is the important first step. For convenience, you may use pre-sliced cheese. It is easiest to find pre-sliced cheddar, Colby, Monterey Jack, Havarti, Gouda, mozzarella, Muenster, provolone, and Swiss. You won't need a knife and cutting board and the slice will be flat and of approximately the right dimensions. However, using cheese that is too soft to package pre-sliced or is less common can make a delicious grilled cheese sandwich. Here are some choices. Many people grew up with American cheese or Velveeta on their sandwiches. Cheese shamers don't stop it from being a very satisfying choice and a classic grilled cheese sandwich is the epitome of comfort food. 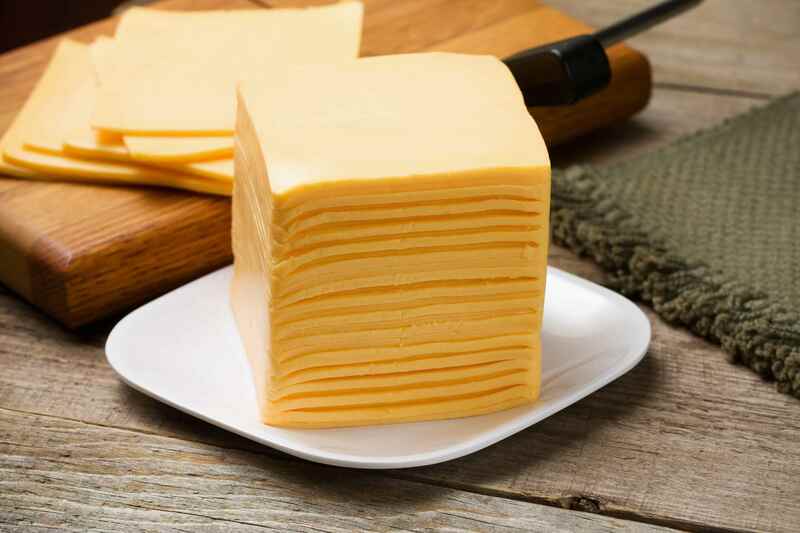 American cheese comes conveniently pre-sliced and individually wrapped or in a brick. 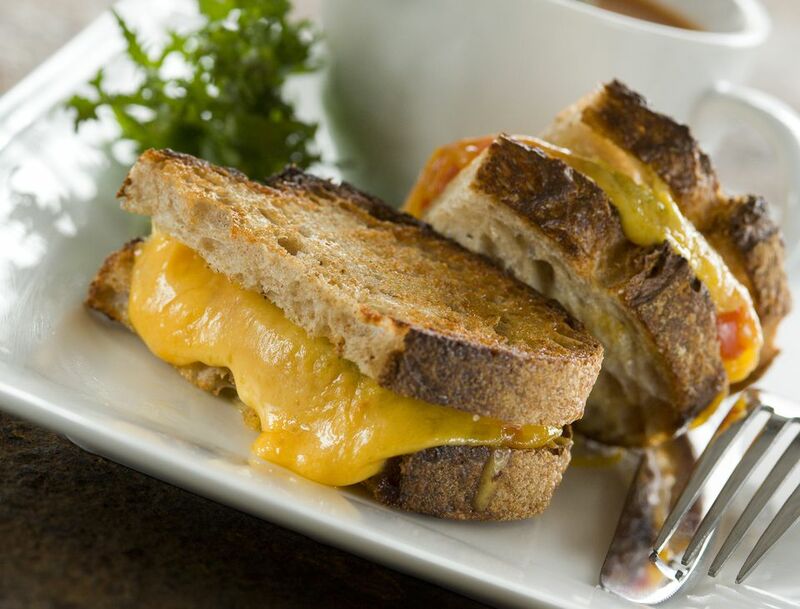 Cheddar has a crowd-pleasing flavor and melts well on a grilled sandwich. Look for a sharp white cheddar to bump the flavor up a notch or experiment with flavored cheddars like spicy jalapeño or hickory smoked. You can find it pre-sliced or slice it yourself. Gruyere is the cheese of choice for the classic French sandwich croque monsieur, and for good reason. The sharp, sweet, earthy flavors of this cheese are irresistible. Two similar kinds of cheese that are equally delicious are Comte and Appenzeller. Grilled cheese sandwich fillings that pair well with Gruyere include caramelized onions, mustard, sliced pears, ham, and sautéed mushrooms. An inexpensive Brie works perfectly fine in a grilled cheese sandwich, adding richness and mild flavor to a sandwich grilled on French bread. However, it sticks to your knife when you try to slice it. Blue cheese makes an especially good sandwich on bread studded with nuts and fruit. Or, use plain bread and add fillings such as bacon, arugula, sliced pears, and honey. If you love Buffalo chicken wings, use blue cheese, chicken, and hot sauce for a Buffalo chicken grilled cheese sandwich. You won't find it pre-sliced and it tends to crumble as you slice it. Manchego is one of the most popular Spanish cheeses imported into the U.S. Slightly sharp and salty, it is firm when you slice it and melts well without becoming gooey. Fillings that pair well with Manchego include quince paste, serrano ham, chorizo, olive tapenade, and tomatoes.